People are sometimes confused and are unable to identify whether they have a Swarm of Honeybees or other flying creatures. The most common insects are Honeybees, Bumblebees and Wasps. 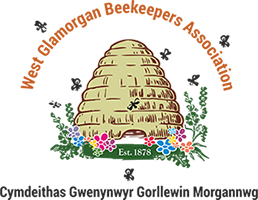 There is already an excellent article which has been written about the differences, on the British Beekeepers Association website. A swarm of bees sometimes frightens people, though the bees are usually not aggressive at this stage of their life cycle. This is principally due to the swarming bees’ lack of brood (developing bees) to defend and their interest in finding a new nesting location for their queen. This does not mean that bees from a swarm will not attack if they perceive a threat; however, most bees only attack in response to intrusions against their colony. Additionally, bees seldom swarm except when the position of the sun is direct and impressive. So-called “killer bees” swarm far more often than regular honeybees. Swarm clusters, hanging off of a tree branch, will move on and find a suitable nesting location in a day or two. Beekeepers are sometimes called to capture swarms that are cast by feral honey bees or from the hives of domestic beekeepers. What to do if you have a swarm? Where is the swarm? In a tree/bush or in/on a building and how high off the ground? Is the swarm on your property or someone else’s?